Not really sure what to make of this. So somebody decided to create a massive multiplayer online game with most of Marvel Comics' characters. As the short trailer indicates you can play as Iron Man, Hulk, Capt. America, Black Widow, Human Torch and Deadpool among others. I know I should be excited and stuff but I don't think I am. I guess this is going to be one of those games where everybody's going to use the same character over and over. Yes, Deadpool I'm talking about you. 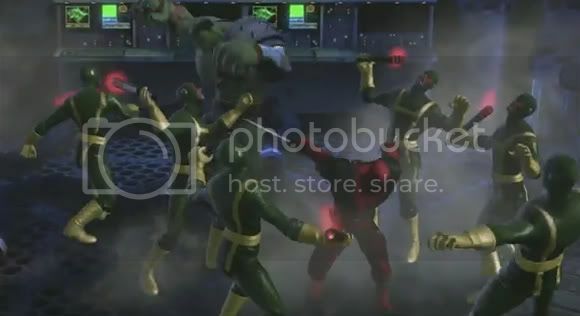 If this doesn't have some sort of customizable character might as well call it Deadpool and friends. Or maybe Iron Man and friends. Let me know in the comments which one you'll use just in case.